Home » Board of Directors » Viola Birss, PhD. 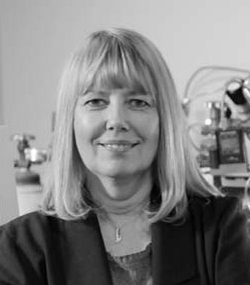 Dr. Birss is a Professor of Chemistry and has been a Tier I Canada Research Chair in Fuel Cells and Related Energy Systems at the University of Calgary since 2004. Birss was a co-founder and leader of the Western Canada Fuel Cell Initiative and the pan-Canadian Solid Oxide Fuel Cells Canada (SOFCC) Research Network, and is currently the Scientific Director of CAESR-Tech (Calgary Advanced Energy Storage and Conversion Research Technology group) at the University of Calgary, a cluster composed of ca. 20 research groups (over 80 members) in science and engineering.